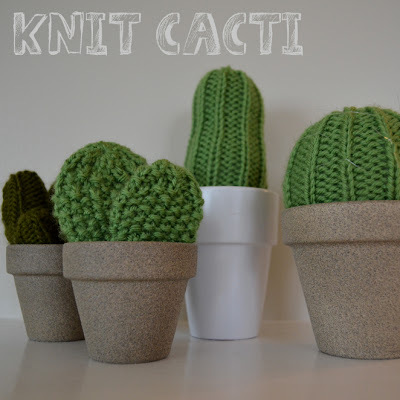 Knit cacti. Love the textures made with different stitch patterns. From Sewing Barefoot. Fabric flowers make beautiful spring brooches! From Creature Comforts. 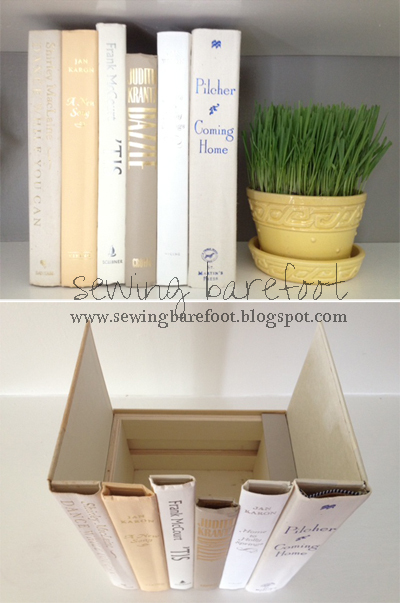 Very cool hidden storage, also from Sewing Barefoot. 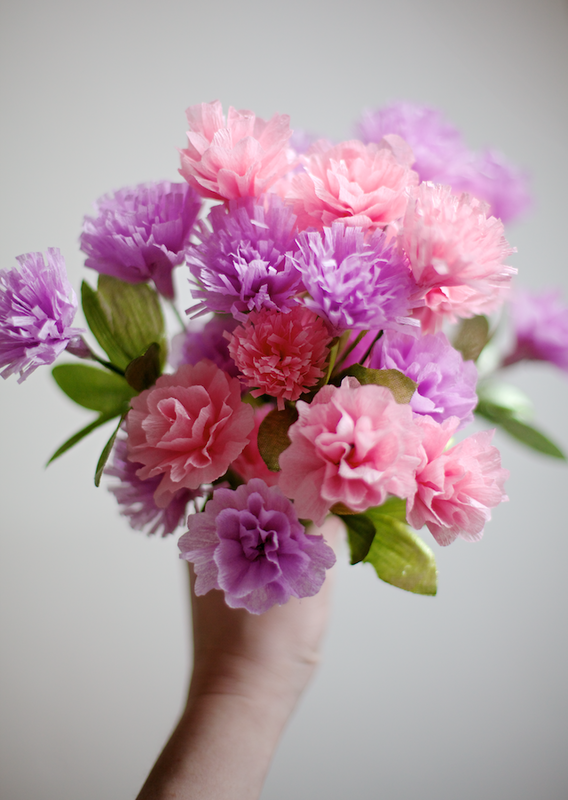 Beautiful crepe paper carnations, from Ruffles & Stuff. I like patterns that use both knit and crochet. 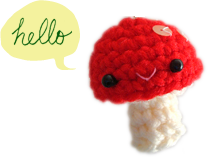 From Lion Brand Yarn. Animal pin party favours. Can I be the bunny or the owl? From Oh Happy Day. Happy houses made of milk cartons. From Bloesem Kids. Nicer than real ones in some ways, even. 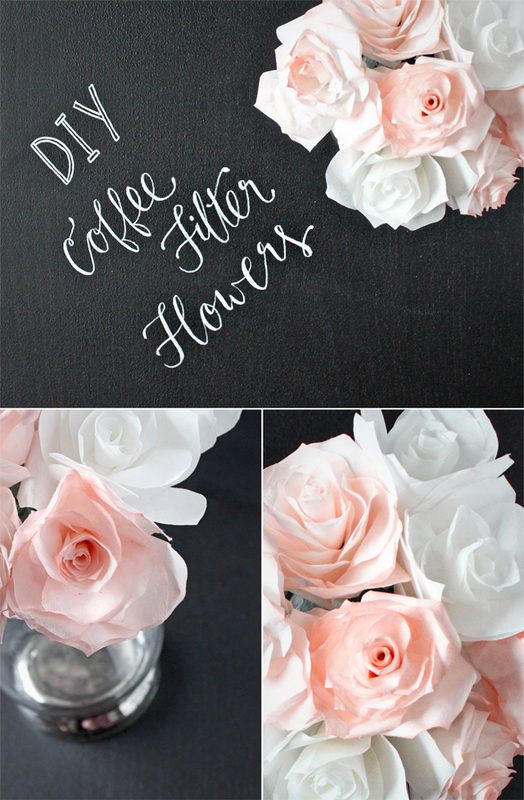 Coffee filter flowers, from Just Bella. 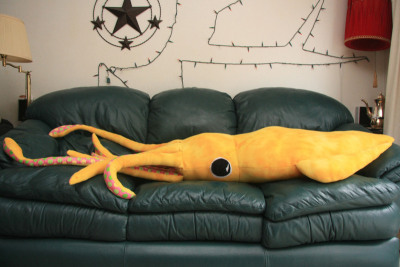 I might have posted this before but my friend Amy sent it to me recently and it made my day so I’m posting it again :D 8‐foot giant squid pillow! The most awesome thing ever! Comes with the sewing pattern! From Build‐a‐DIY. 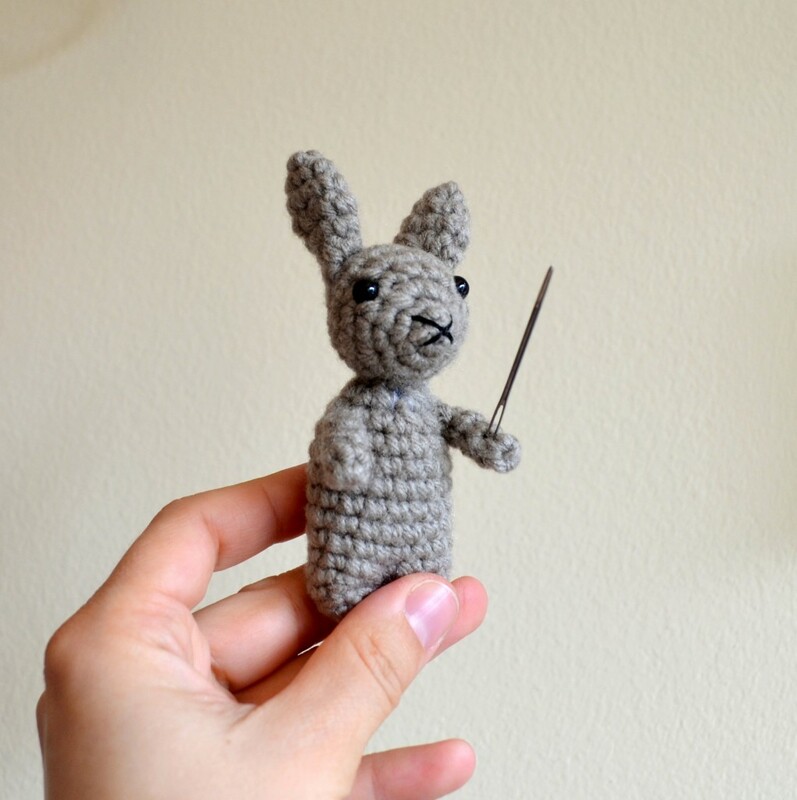 Pattern for a tiny rabbit, welding a needle and vowing to protect yarn stash (needle and yarn stash not included in the pattern). Simply the cutest! From Pops de Milk. A different kind of bunny, with a starburst centre this time. From Green Dragonfly. Shepherd knitting, with a hook! Never seen that before. Might make a nice cowl. Must try it someday. From Amore Fecit. 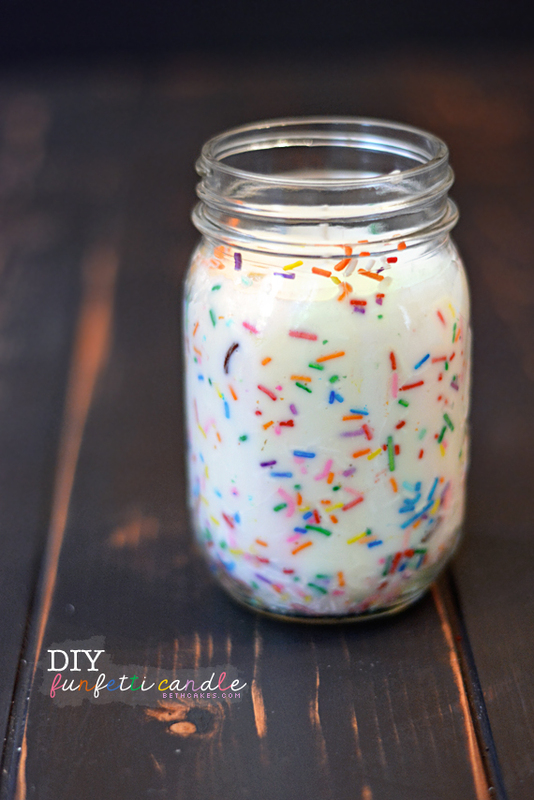 Mike would love this — sprinkles candle! And it’s supposed to smell like cake! From BethCakes. And this one is for my sister :D Googly eyes make everything awesome. From Little Gatherer. But I think my fav is the pet cloud. I’m totally going to have to make some!